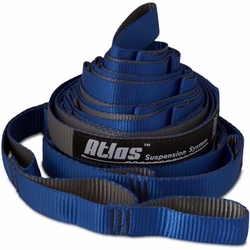 ENO Atlas Chroma Suspension System Straps. The same Titan-inspired suspension system as the best-selling Atlas, but with colorful two-tone weaving. Show off your bright side with the Atlas Chroma. Eagles Nest Outfitters.